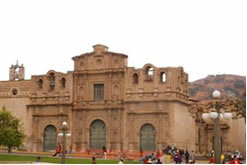 Cajamarca is located in the northern highlands of Peru, and is the capital of the Cajamarca region. It is approximately 2,700 m (8,900 ft) above sea level and has a population of about 135,000 people. 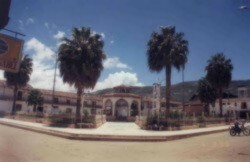 Cajamarca has an equatorial climate so it is mild, dry and sunny, which creates very fertile soil. The city is well-known for its fine cheeses and dairy products. 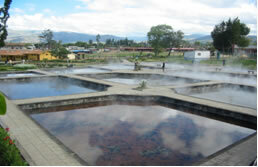 Cajamarca is also known for its churches, and hot springs, or Inca Baths. There are also several active mining sites in surrounding areas. Most of all, Peruvians remember Cajamarca as the place where the Inca Empire came to an end, since the Battle of Cajamarca along with the capture and execution of Inca emperor Atahualpa took place here.